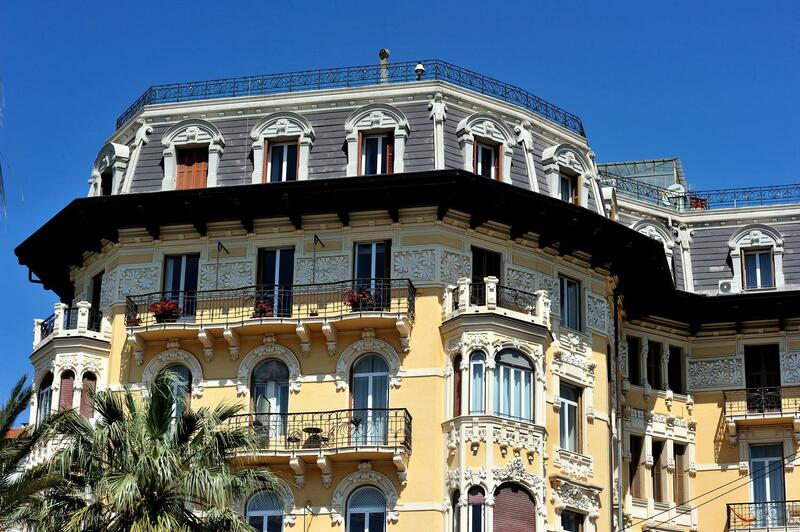 Located in an Art Nouveau villa surrounded by tall palm trees, Lolli Palace Hotel is situated along the famous Corso Imperatrice in Sanremo, facing the Ligurian Sea. It has got a large panoramic restaurant and a Solarium. 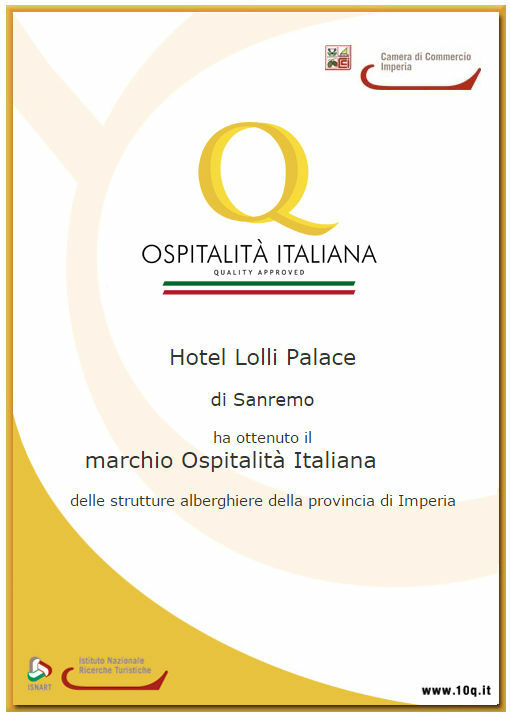 Near the Sanremo Casino, main shopping area and historic centre, Lolli Palace Hotel offers panoramic views of the coast from both its spacious rooms and rooftop terrace. It is easy to reach the main attractions of the city from Lolli Palace. Nearby you can find the winter residence of Russian Empress Maria Alexandrovna and the Russian Orthodox Church. Montecarlo and the French Riviera are only 30 km away. From the A10 motorway, exit at Sanremo or Arma di Taggia (Sanremo Est).Follow the signs to the historical centre and the Casino. The hotel is 100 metres from the Casino. The hotel is about 2 km from Sanremo’s train station. The hotel is about 65 km from Nice’s airport, including 56 km on faster roads. The hotel is about 141 km from Genoa’s airport, including 129 km on fast roads.